The focus of the past week’s racing was on Saturday 24th November 2018 for the last race in the Club’s Championship. This meant that very few members took part in parkruns. That said Craig Robinson secured a PB at Shildon Parkrun in 30.01. 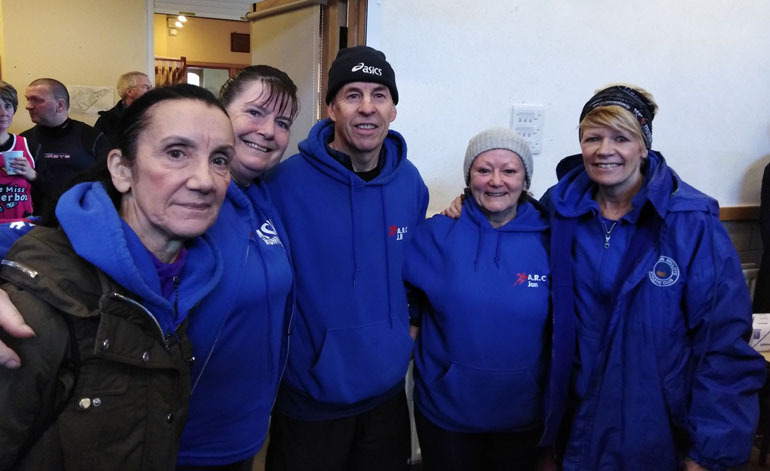 Turning to the race on Saturday this was race that is hugely popular with Aycliffe Running Club despite taking place in Ravenstonedale in Cumbria. This is a 10k race over undulating terrain. Fortunately this year (unlike previous years) the weather conditions were perfect. In total there were 36 members of ARC who took part in this race (with at least two members achieving PB’s), some of whom travelled on a coach and some who drove. First home for the club was Richard Campbell in 41.39, followed by Andy Talbot 41.46, Martyn Knox 42.13, Richard Holland 42.16, Mark Bainbridge 44.15, Susan Cranswick 45.55, Trevor Needham 46.04, Peter Smith 46.50, Dave Blewitt 47.17, Christine Mudd 48.15, Angela Sutheran 49.54, Andrew Lumley 50.49, John Heywood 51.03, Sandra Collins 51.09, Simon Matthew Turner 51.21, Rob Nicholson 51.52, Trish Kay 51.59, Nick Gilling 53.10, Mick Brunskill 53.57, Warren Raine 55.00, Ian Baronowski 55.11, Alan Kellett 55.35, Heather Fenwick 55.55, Anne Kellett 57.03, Richard Tonge 58.02, John Richardson 58.43, Lindsey Brown 58.58, Bev Phillippo 59.22, Kathleen Tonge 59.35, Denise Evans 1.00.06, Judith Porter 1.01.55, Gemma Holland 1.03.40, Susan Clark 1.04.06, Eve Doe 1.09.58, Jan McLuckie 1.16.24 and Sam Baronowski 1.16.26. It should also be mentioned that some runners achieved prizes. 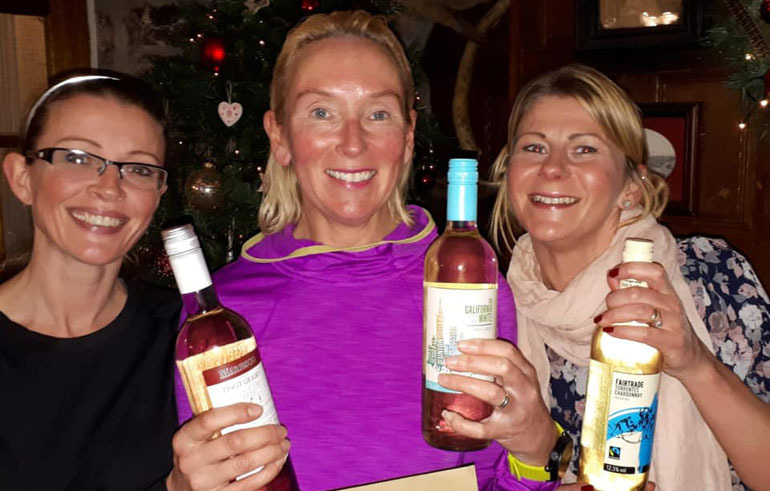 These were, Angela Sutheron 1st Female 0/45, Trish Kay for 1st place Female O/55 and Susan Cranswick, Angela Sutheran and Christine Mudd who were first place ladies Team. Celebrations took place in the Black Swan Pub in the village afterwards! 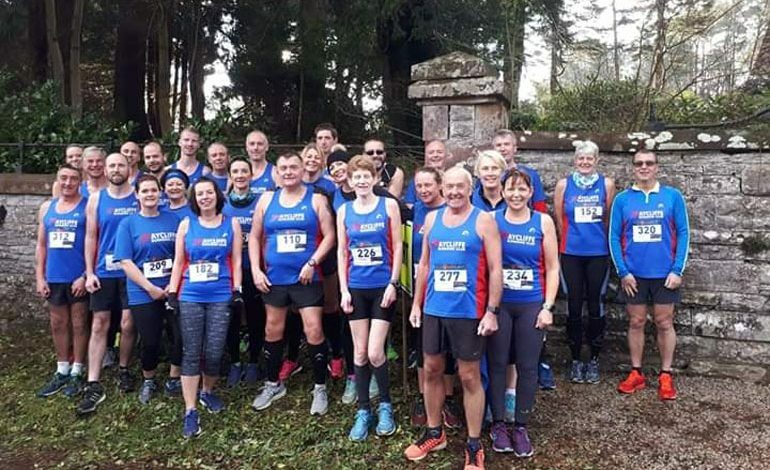 On Sunday 25th November, several runners attended the Gavin Duffy Memorial Race in Cowpen Bewley. This is one of a series of winter 5k trail runs organised by Muddy Roads. Although running for his first team, Paul Dalton finished in 20.10. He was followed by Dez Fielden, the first runner home for ARC in 21.18, Richard Holland 22.54, Dave Blewitt 26.12, Michelle Scott 26.17, John Burnside 26.28, Alan Wilks 26.40, David Stothard 28.05, Jane Burnside 34.17, Susan Clark 34.43, Eve Doe 39.13 and Jan McLuckie.